RG 062, Town and Borough Governments. Includes town meeting records, tax lists, grand lists, assessment books, deeds and land records, accounting records, school records, vital records, election returns, lists of electors, indentures, roads and highway records, justice court papers, and other materials. See Local Government A-Z . 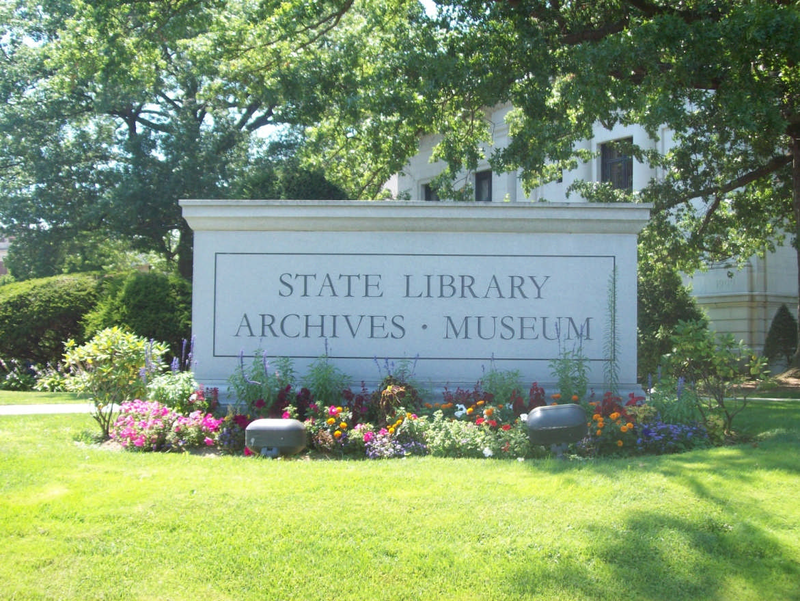 The State Library houses originals or copies of early records of several hundred Connecticut churches and ecclesiastical societies. These contain minutes; membership lists; vital records; financial records; correspondence; and papers of missions, conferences, committees, and clubs. About a quarter of the church vital records have been indexed and included in the library's Church Records Index and much of the material has been microfilmed by the Genealogical Society of Utah and is available for use here or through LDS Family History Centers. Birth, death, marriage information on Connecticut residents, mostly pre-1900. Reports, files from town clerks; indexes, abstracts cemetery records, headstone inscriptions; and abstracts of newspaper marriage and death notices. RG 074, Genealogical Materials, 1713-2006. Working papers, drafts, and collected reference materials pertaining to genealogical research, principally on Connecticut families. For the most part these materials have been donated to the State Library by private individuals. See Genealogy Collections A-Z. << Previous: Are there other sources of vital records?